A group of social activities jointed together and established EDUCATR Trust in 1997 for the total benefit and sustainable development of the poorest of poor, deprived, depressed, orphan, special children. The Trust complies with all legal and financial and management policies and accomplishment all relevant records and acknowledgement from the government. At the inception stage works in 2 panchayats of Usilampatti district in Tamil Nadu and conducted vocational training programs to the marginalized sections of society. Over the years extended geographically to 150 villages and 72 panchayaths in the blocks of Usilampatti, Chellampatti, Sedapatti and Usilampatti municipality, Elumalai town panchayath in Tamil Nadu. 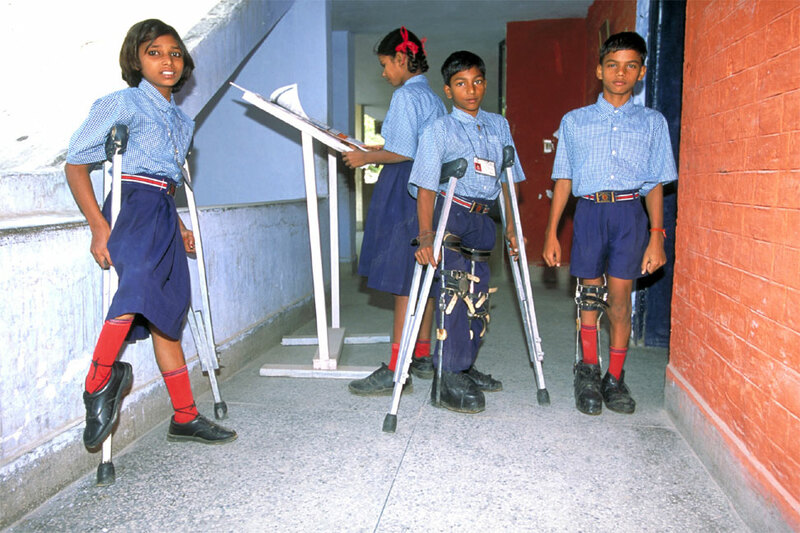 Disability was never an impediment to these boys and girls but lack of support was. Timely support from iCharity enlisted NGO EDUCATR, to these children hailing from poor families in villages surrounding Kancheepuram in Tamil Nadu have not only helped them to get back to the normal course of education but also given them confidence to succeed in life. iCharity is helping many children like them by providing a new school bag, lunch & snacks box and some stationary items while they join the school year through individual donations from the website. An amount Rs.1250 which provides them some essential items while they start school may be small but it is a great way to encourage them to move ahead despite poverty and disability. Pandiyammal is mentally challenged. Her progress is slow due to stunted brain development. 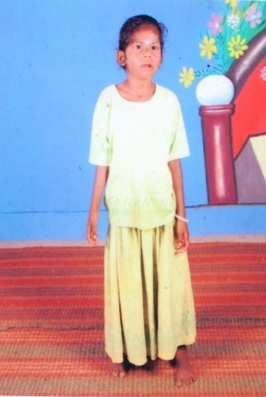 Her parents and siblings are very supportive and ready to put every effort to give her normal education and life. 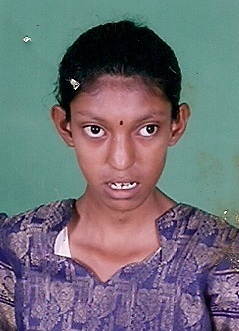 EDUCATR helped Pandiyammal to get the medical certificate and the ID card from the Government to obtain disability privileges and concessions offered by government. She is now studying in 5th std. in Kallar High School learning to cope up along with other children. Jegan Kumar was born with a hearing disability had to drop out of school and start to work in a tailoring shop as his parents are poor and illiterate and found it difficult to give him special education and equipment. Timely intervention of EDUCATR helped him get a Hearing Aid through a government scheme and also admission into Nadar Saraswathi Higher Secondary school, Usilampatti, Madurai district, Tamilnadu. 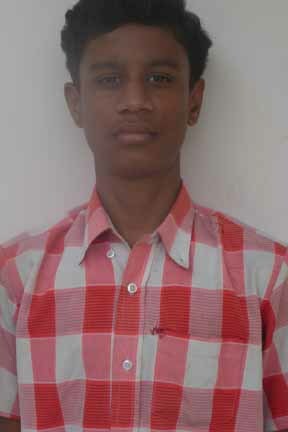 Dhanapaul is a physically challenged boy with both hands disabled at fingers (crooked fingers). His left hand fingers are fully disabled while his right hand fingers are 40% disabled. Initially, writing for him was very difficult and had to drop out. In this situation EDUCATR provided him with writing practice and training with support from Sarva Shiksha Abhiyan of Government of India. And after 1 year of training his writing skills have greatly improved. Now he is learning and writing just like any other student in the government High School, where he is studying. Management Set-Up: EDUCATR has 3 tier administrative and decision – making folders. At village level women Self Help Groups (all women), Primary decision making body analyze the problems, prioritizing needs and send the felt needs with clear cut planning with implementation and monitoring process to the Advisory Board. The Advisory Board will give right direction to make the project success. Along with primary decision – making body’s resolution and its recommendations in a right perspective to the executive committee of EDUCATR which is final decision approval body. Roles of Staff, Advisors, Volunteers and members: EDUCATR has promoted 525 women self help groups, 50 men’s group and 15 Disabled group as community organization in its constituency. All 380 groups selected likeminded volunteers to work for EDUCATR is project in their villages out of 14 full time staff 10 are from local community where work and all 12 part time are from local community working in their respective villages out of 14 full time 10 are women, all 12 part time are women. Apart from the volunteers from the villages nearby Pasumpon muthuramalingam college faculty of Rural Development Science students 5 are working.